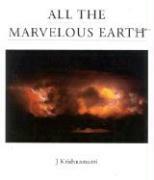 All The Marvelous Earth is an anthology of Krishnamurti'ss writings on our relationship with each other and with the environment. In this wonderful book he points to a different way of living that is seldom, if ever, explored in traditional approaches to environmental issues. Through his deep appreciation of beauty and questioning of our relationship with nature.